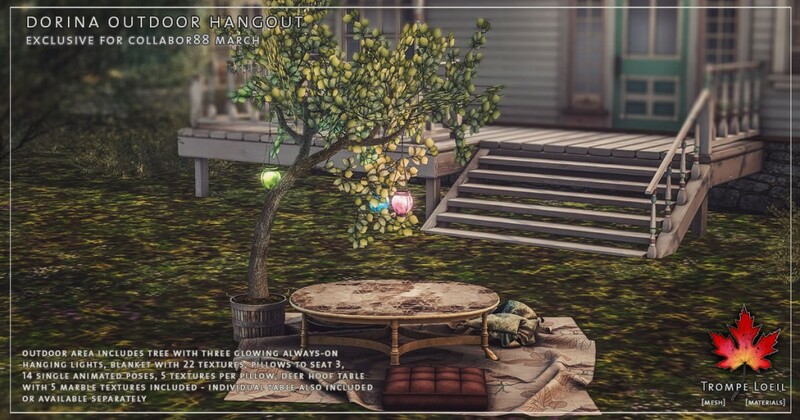 Throw open the windows and welcome in a perfectly pastel spring concoction – our new Dorina Cottages and Dorina Outdoor Hangout, only at Collabor88‘s March round! 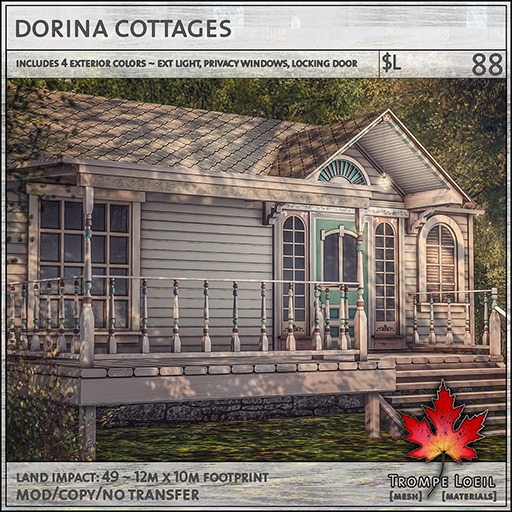 Our Dorina Cottages are Victorian inspired, with lots of painted details – we include four exterior colors too! 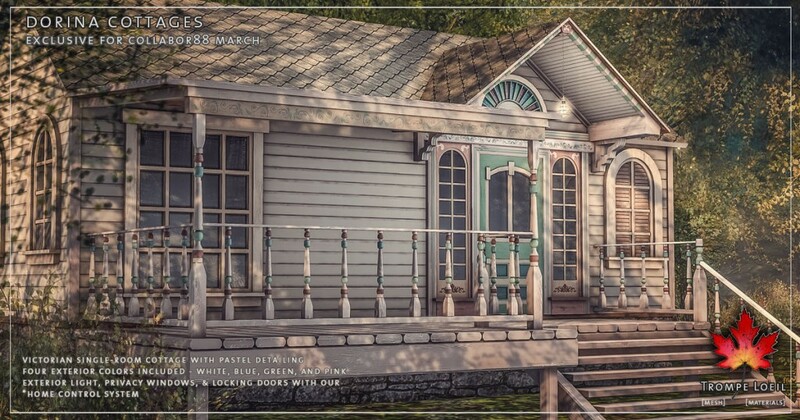 Single room keeps it cozy, with hanging exterior porch light, privacy windows, and our *home control system. 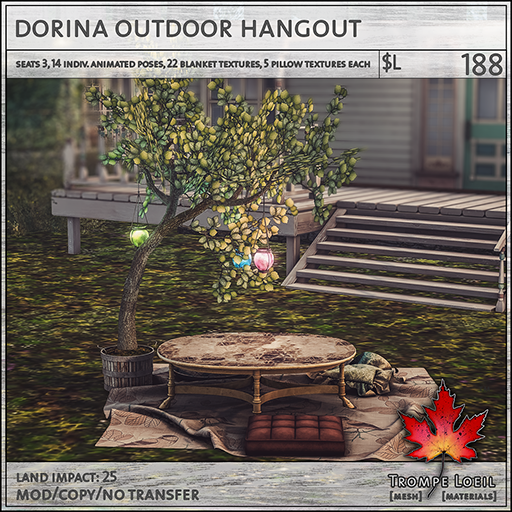 Plus, the Dorina Outdoor Hangout gets you back in the sunshine! 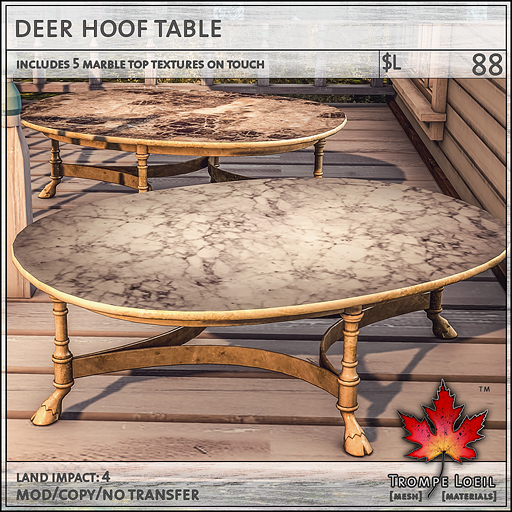 Seats 3, with tons of blanket and pillow textures, tree with always-on hanging lights, and our new Deer Hoof Table with 5 included marble tops (also available separately). 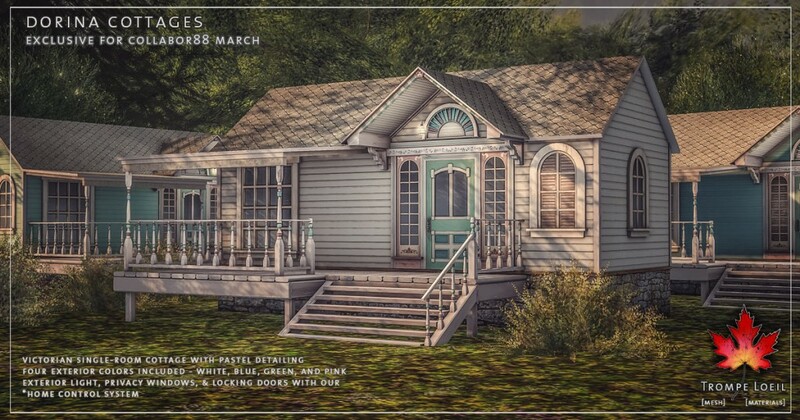 Check it all out at this month’s Collabor88!